We are one of the leading firms of Hydraulic Control Valve Services. These services are broadly praised by customers across the nation. Our services are handled by industry experts who have years of experience. This service is available with us at nominal prices. We are offering Control Valve Repairing Services of all kinds of Control valves. These Control Valve Repair Services are very helpful in the repair and maintenance of all the kinds of valves in an efficient and convenient manner. To meet the variegated necessities of our respected patrons, we are engaged in rendering Control Valve Repairing Service. These services are accomplished under the guidance of well-informed experts who have prosperous industry practice and skill. We render these services at nominal prices. Backed by our skilled professionals, we are involved in providingControl Valve Repairing Service. Stroke Length: 18", 5-29/32", 24", 10", 1,2,4,6,8,10,12,18,24,3-29/32,5-29/32,7-29/32,9-13/16,11-13/16,1,2,3-29/32,4,5-29/32,6,7-29/32,8,9-13/16,10,11-13/16,12,18,24, 3-29/32", 6", 9-13/16", 1", 4", 11-13/16", 2", 7-29/32", 12", 8"
We are offering Control Valve Repair Services of all kinds of Control valves. These Control Valve Repair Services are very helpful in the repair and maintenance of all the kinds of valves in an efficient and convenient manner. Owing to our expertise in this domain, we are providing Manifold Installation to our honorable customers. Control Valve repairing and 1 Month warranty .And we also repair Delphi control valves. 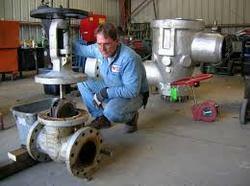 We are providing Control Valve Repairing Services.& POSITIONER CALIBRATION ON SITE OR IN HOUSE. 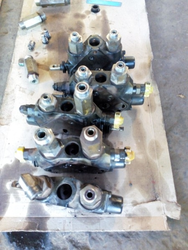 ANY MAKE CONTROL VALVE & MANUAL VALVE WITH SPARES, WITHOUT SPARE. We have carved a niche amongst the most dominant names in this domain, involved in providing superior quality range of Control Valve Repairing Service. We offer quality Rebuilding of erroded and damaged trim components of Control valve to our clients which are situated all round the nation. We offer Rebuilding of erroded and damaged trim components of Control valve as per customer requirement.